Behind every great team...are great people. Or so they say. Every training session, scrimmage, media session and match played there are people working behind the scenes to see that it all runs smoothly. 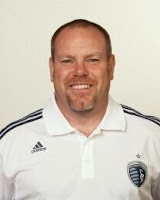 In what will be an the first in a series of articles looking into the "Plight of..." these people, we have one who is nearly invaluable to the successful efforts of a Major League Soccer team: the equipment manager. 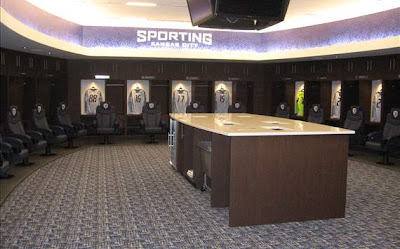 Mike Flaherty of Sporting Kansas City is the official "Kit Man" for his club and he offers us a glimpse into his daily routine. 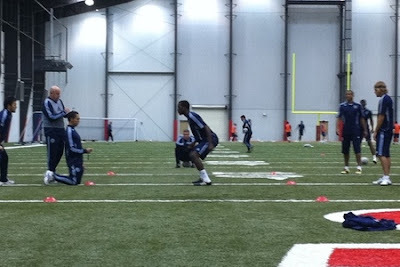 He also lets us know the difficulties that come with the job and why Kei Kamara really can be a pain sometimes. Without further adu the Plight of the MLS Equipment Manger. MLS Reserves: Can you describe your daily tasks as an equipment manager for a Major League Soccer team? MLS Reserves: What are you responsible for specifically and what problems can arise from those responsibilities? MLS Reserves: We often see players trading jerseys after the match. This suggests that the team must purchase a huge quantity of jerseys each season. How do you keep up with that demand and how many jerseys are ordered in general? MLS Reserves: What types of this go wrong for you that you're tasked with fixing? MLS Reserves: How hard is it to keep up with player requests for jerseys to give out after matches or other types of charity? MLS Reserves: Beyond jerseys, what is it that you need to keep up with on a day to day basis? 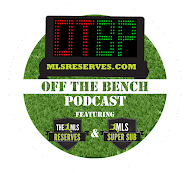 MLS Reserves: How do your responsibilities differ between practice at home or practice on the road? MLS Reserves: How do your responsibilities differ between match days at home or on the road? The Sporting Kansas City locker room. Can't take that on the road. MLS Reserves: How many hours do you put in home/away on practice or game days? For example, what time do you arrive/leave by comparison to the players? MLS Reserves: What else should fans know about the role of an equipment manager that I might not have covered? Have some fun with this one and let us know the things you do that fans may not realize. MLS Reserves: Lastly, who is the worst player on the SKC roster at making your life difficult? This is a fun question, not a villifying one, so enjoy it. Who teases your or makes your job tough just to be fun? He just wanted to donate a jersey guys..
Great interview! Shows that there are interesting, stable, good career jobs in the sports business -without being on the pitch. Kansas City is very lucky to have such an efficient, diligent, and caring Equipment Manager. Keep up the good work, Mike and Kansas City Soccer. Mike does a great job and we are so lucky to have him around. People who also don't know him, Mike has a great sense of (dry) humor, but also knows a lot of Kung Fu grips. He also cried watching Dinner for Schmucks so he has a sensitive side as well. The complete package.